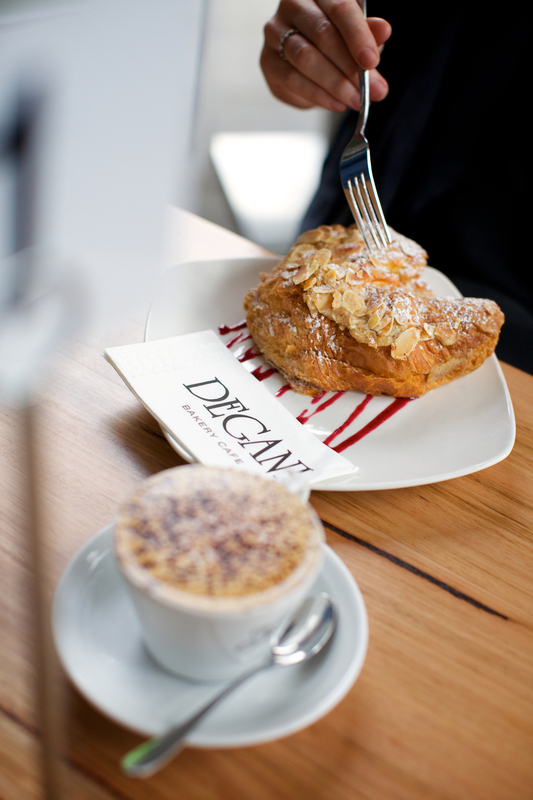 MELBOURNE cafe chain Degani has charted ambitious growth plans across the nation, with Brisbane the next stop. Entrepreneur George Pezaros redeveloped a small cafe in Clifton Hill in 1999, to include a gourmet food brand and new store design. Operating under a license model Degani has since grown to 70 cafes, mainly in metropolitan Melbourne with five in Rockhampton. Brisbane has been selected for the next phase of expansion, with the company enlisting business ace Dan Gallo to convert the model into a national franchise system. Gallo is well-versed in the franchising arena, previously holding a number of senior roles at Hungry Jack’s, Boost Juice Bars and Eagle Boys. He is making a return to the coffee industry, equipped with insider knowledge of the city’s market following his time at The Coffee Club. Stepping in as CEO of Degani in June, Gallo tells Brisbane Business News why the company decided to head to the river city. “The cafe and restaurant market in Brisbane has a lot of maturing to do,” Gallo says. “In Melbourne you can walk around and feel the cafe culture, through laneway cafes, their grungy coffee offerings and the food. As the new kid on the block, Degani will engage multiple-level strategies to introduce the brand name, including franchise exhibitions, public relations and a TV spot early next year. “I think our competitive edge comes from our existing coffee credentials in Melbourne, but also with the discipline to deliver high quality food. “Our products are fresh and made on site, they deliver a much more sophisticated experience than what we’ve seen in some of the cafes in Queensland,” Gallo says. Degani offers creative license under the banner, offering business partners a consistent menu and brand name with a personal touch. Gallo says it helps create a local offer and become “more relevant in the market”, fostering partnerships with local suppliers. Founder Pezaros says the individuality aspect has helped the company expand in Melbourne and now turns his focus to Brisbane. “At the beginning, in some ways, I did everything the opposite way around but grew Degani to become a consistent and trusted brand in Melbourne,” Pezaros says. “It wasn’t long before I had people approaching me, wanting to open their very own Degani store. “The new growth plans for Degani, with Dan at the forefront, are an exciting phase for us and sure to be a success,” he says. The first Brisbane location is still in the design phase and is set to open in November, located at Mount Omanney. Gallo says Degani has 30 applications for new stores in the pipeline, including one from overseas. For the moment, Gallo will concentrate on the Mount Omanney store opening, as well as exploring major centres including Garden City, Chermside and the Gold Coast.